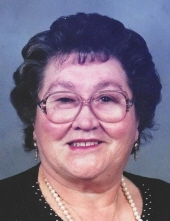 NINA RUDY (nee Dichtjarow) age 84, passed away peacefully Thursday, January 24, 2019; Beloved wife of the late Petro; loving mother of George (deceased) (Irene), Peter (deceased) and Nicholas (deceased); cherished grandmother of Nicholas, Katie Griffin (Nick), John (Megan) and Josef; great-grandmother of Grace, Ella Griffin, Jonathan, Caroline and Amelia; Nina was a dear friend of many. To send flowers or a remembrance gift to the family of Nina Rudy, please visit our Tribute Store. "Email Address" would like to share the life celebration of Nina Rudy. Click on the "link" to go to share a favorite memory or leave a condolence message for the family.